Eight bestselling board books packed into one adorable gift set is the perfect starter library for tiny super heroes. This colorful collection featuring Superman, Batman, Wonder Woman -- and dozens of other popular DC characters -- will teach little ones basic concepts as well as offering an entertaining introduction to the world of DC super heroes. Inside the box are eight, 5 3/4"-square DC Super Heroes board books: ABC, 123; Colors, Shapes, and More; Busy Bodies; Opposites, My First Book of Girl Power; My First Book of Superpowers; My First Book of Super-Villains; and Even Super Heroes Sleep. 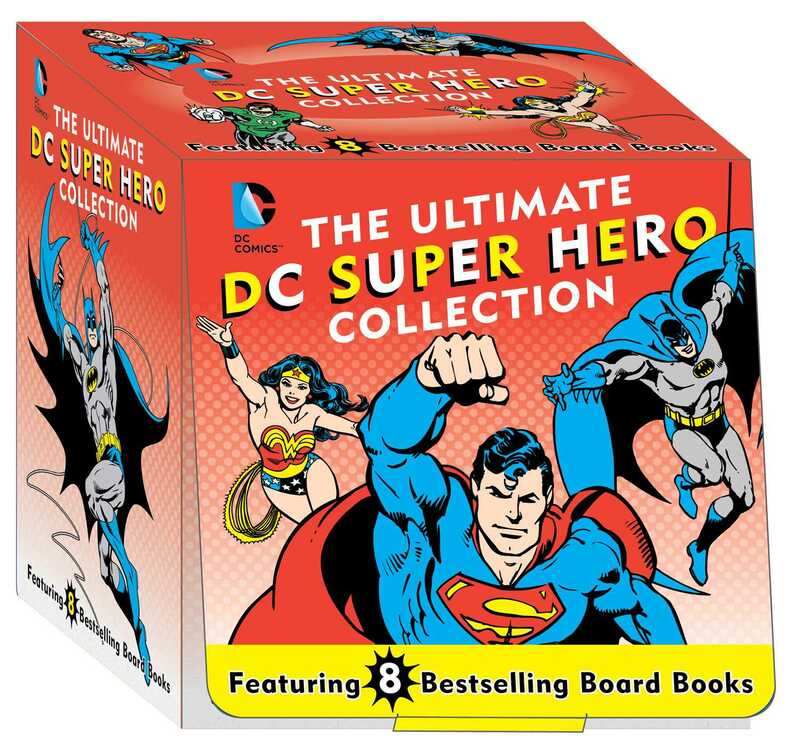 Illustrated with DC classic comic book art, The Ultimate DC Super Hero Collection is an amazing-value must-have for the littlest fans. David Bar Katz is the author of many DC Super Heroes books including My First Superman Book, My First Batman Book, My First Wonder Woman Book, ABC 123, Colors and Shapes, Opposites, and Busy Bodies. He is a screenwriter and playwright. His award-winning play, The History of Invulnerability, is about Superman creators Jerry Siegel and Joe Schuster. He lives in New York City with his wife and four sons, and a basement full of comic books.